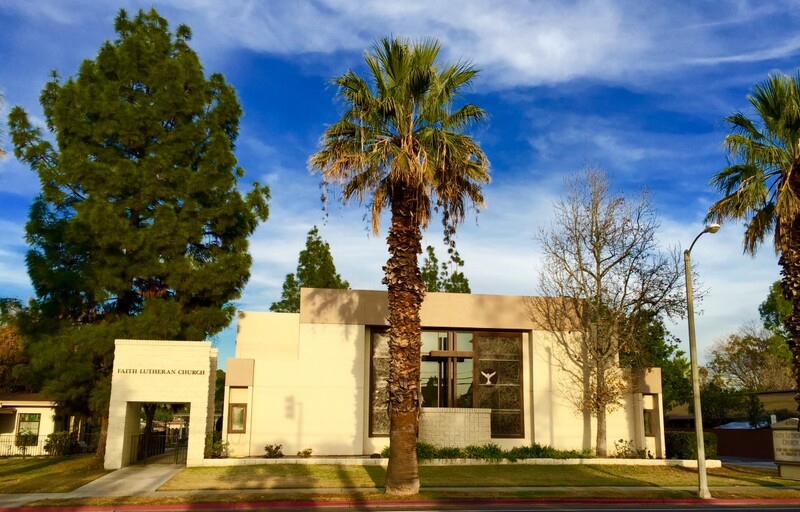 We are a Christ-centered church which is part of the Lutheran Church Missouri Synod (LCMS), located in Riverside, California. 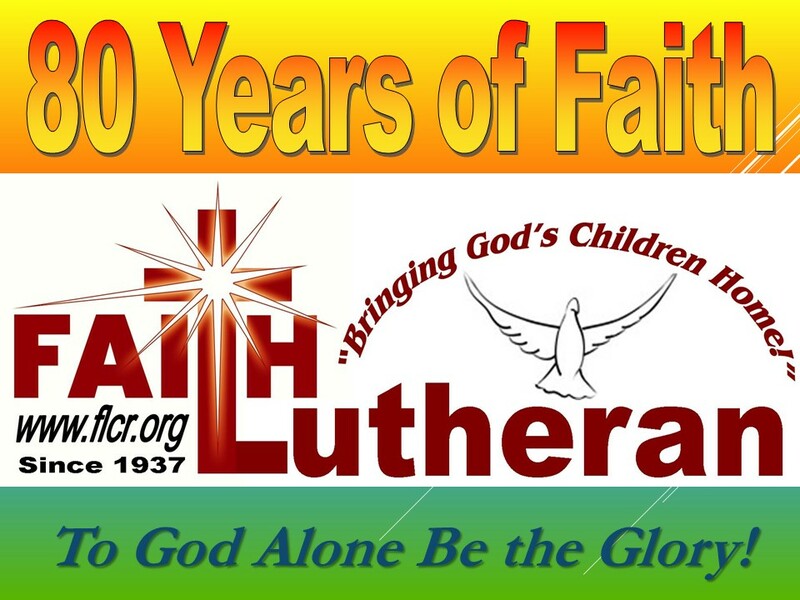 At Faith, we have been carrying out a Gospel Ministry of sharing Jesus since 1937. 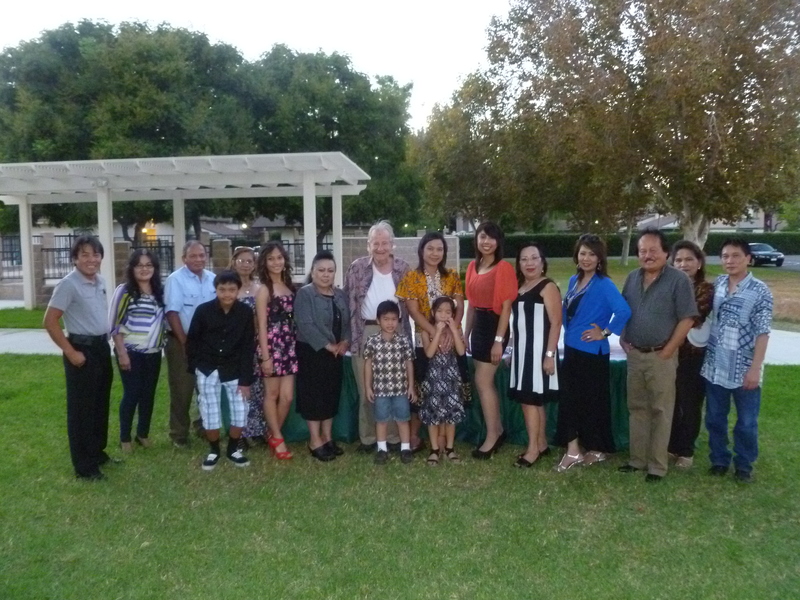 We celebrated our 75th anniversary year in 2012! It is our mission to share the Gospel of Jesus Christ to all of God's children and connect them to the Body of Christ (1 Corinthians 12:12). We also recognize that Christians are to be a family of believers and so we want to build one another up in the Body of Christ to be more like Jesus each day! We extend a warm welcome to you and invite you to worship with us each Sunday. Our Mission Statement — "Bringing God's Children Home"
Our Vision Statement — "To support foster-care families and children impacted by abuse and neglect, giving them hope so they will know God's Loving Grace!" Contemporary Worship service is at 10:30 AM every Sunday. The Sacrament of Holy Communion may be received every Sunday at either service. BIBLE STUDY PODCASTS AVAILABLE! Click here! April 20, 2019—at 9:00 AM – Walk to Calvary—a Passion Week/Easter Play for all ages followed by Easter Egg hunts and crafts for the kids—FREE! April 21, 2019—at 6:00 AM – Easter Sunrise Worship Service—come join us outside in our amphitheater to Celebrate Jesus’ Resurrection! April 21, 2019—at 8:00 AM –Traditional Easter Worship Service—and at 10:30 AM Contemporary Easter worship—both with Holy Communion to Celebrate Jesus’ Resurrection! New Church Giving Method through Tithe.ly! All offerings are welcome and appreciated as we build God’s Kingdom together! Thank you for supporting this Gospel Ministry! Click the button below to give through our secure site. or sign up for our–Facebook Group Page!